Expires in 1mo . Last validated 3wk ago . Used 8 times. 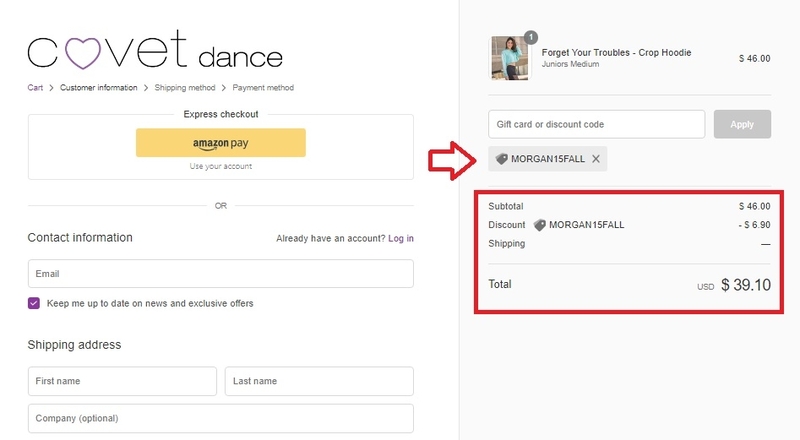 Pedro Salazar Simply enter the code <MORGAN15FALL> in the promo code box when checking out to get 15% off your order at Covet Dance. This is a limited time offer. Certain conditions may apply.